Clarence B. “Chip” Vaughn is a NFL safety who is currently a free agent. He was drafted by the New Orleans Saints in the fourth round of the 2010 NFL Draft, from Wake Forest University where he was the leading tackler and ranked 8th in the ACC for tackles per game his junior year. 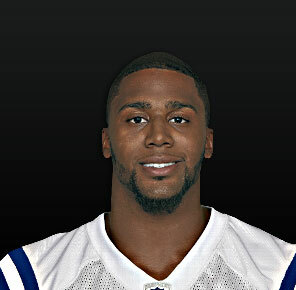 In addition to the New Orleans Saints, Vaughn has also been a member of the Philadelphia Eagles and Indianapolis Colts. Vaughn played high school football at Rampart high school in Colorado Springs, CO for a year then moved to Robinson Secondary School in Fairfax, Virginia. Chip is currently in the process of starting The Chip Vaughn Hungry for Life Foundation in an effort to raise money for Trisomy 18 research, along with helping families that have a child with Trisomy 18. Trisomy 18 is a genetic disorder in which there is a third copy of material from chromosome 18 instead of the normal two. Children born with this defect are only anticipated to live a few hours after birth, if they are even born alive. Chip’s first-born daughter, Natalia, was diagnosed with Trisomy 18 just a few days before her birth. Baby Natalia was born Wednesday, May 16, 2012 and fought a hard fight, but passed away 6 days after she was born. Chip has a vision of raising money to help with the research doctors need to either prevent or cure Trisomy 18. Every child deserves a chance; everyone is Hungry for Life. © 2013 - Elite Image LLC. © 2011-2013. Elite Image LLC.